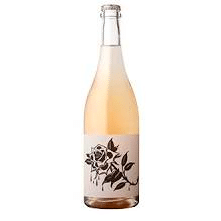 The Blacksmith 'Bloodline' Pet Nat Cinsault 2017 - Publik Wine. Tremayne Smith, responsible for the winemaking at Fable Mountain Vineyards since late 2016, has been making tiny batches under his own label The Blacksmith for several years now. Sourced fruit, picked early, minimal intervention and little sulphur make his wines something special. Mostly exported, we have a small allocation of the local supply for you right here.